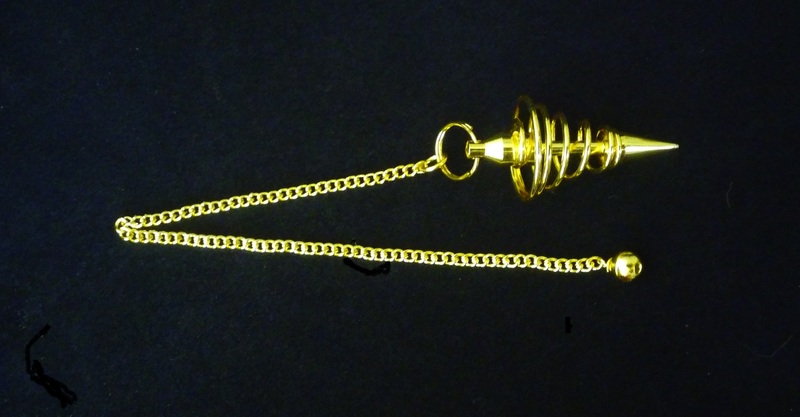 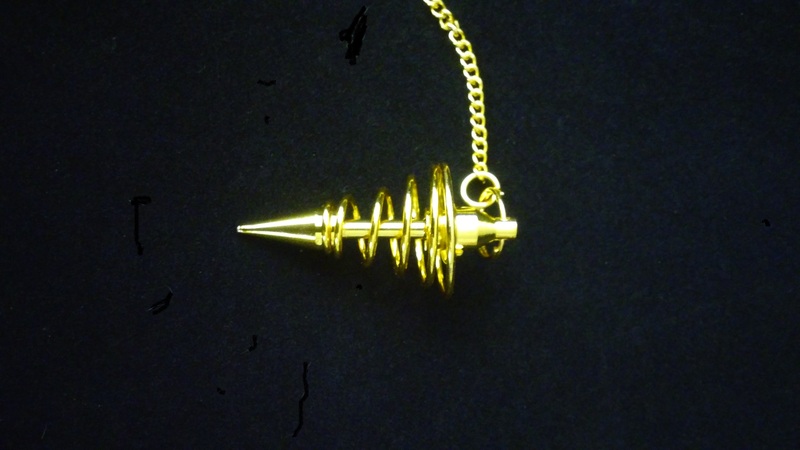 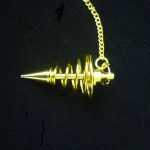 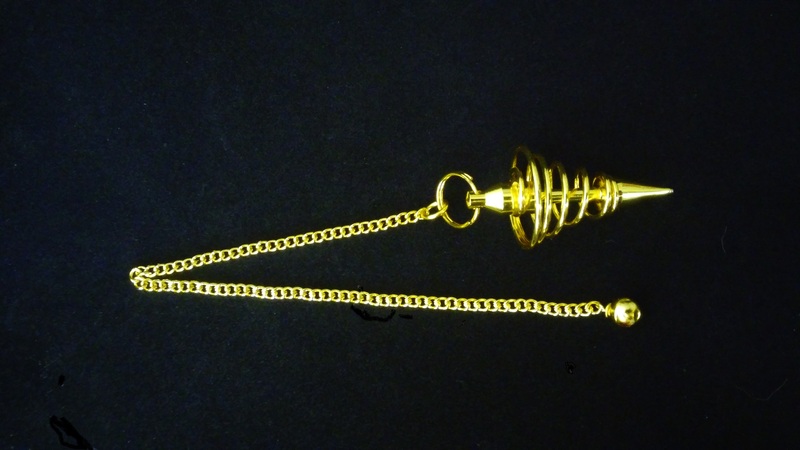 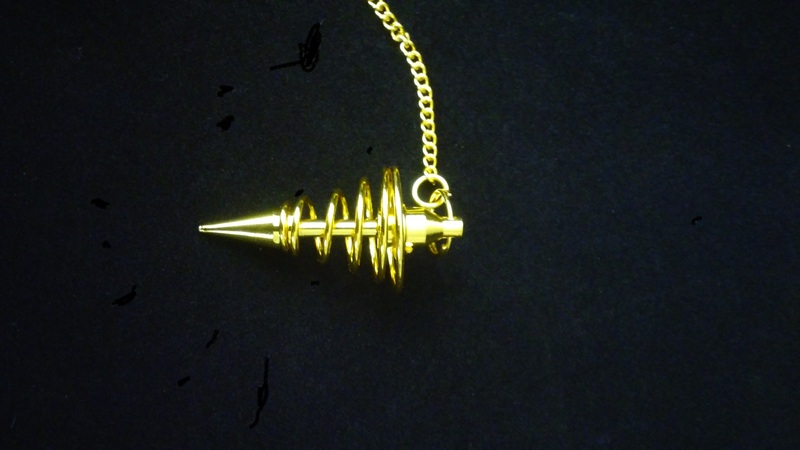 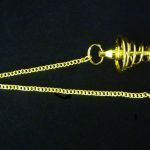 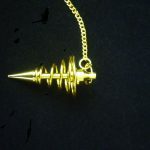 Brass pendulum with a spiral wire design. 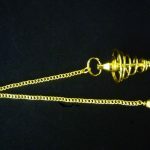 Nice swing and weight. 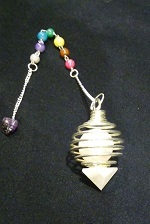 Ends in a round bead.